It's the end of another long weekend this month. Almost, in less than an hour. I have taken my leave since Thursday because Dearest Dad was having his angioplasty operation at JPMC. Sent him there in the morning with mom and Amni, and then left mom there to stay with dad. Mom decided to check-in at Empire and dad was discharged that afternoon. So both of them were staying at Empire for two nights to REST. Although we did crash their stay because I just had to bring my kids to the swimming pool. Teehee! Both Iqbal and Amni was really excited. For Amni, that would be her second time this month. We also checked-in earlier this month during the long weekend. 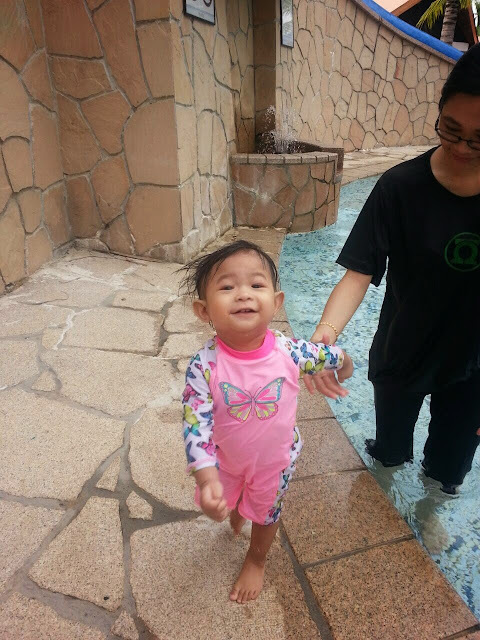 She was really excited to explore the pool and became braver with the water! I wish I could capture all the smiles and excitements. 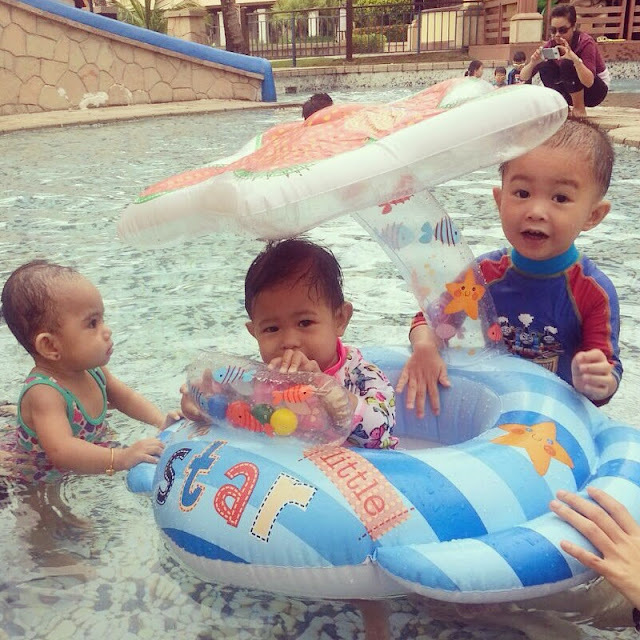 And for Iqbal, he refused to go out from the pool after almost two hours staying in the pool. Errkk! Does toddler even allowed to be in the pool for that long?!! I should google that up!